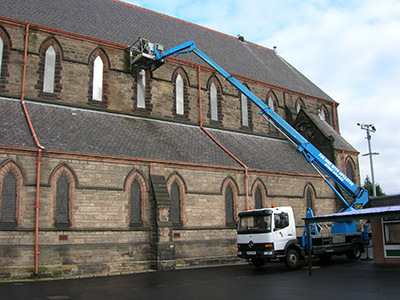 The High Reach Company is a small Wirral based company, specializing in providing an efficient and highly cost effective service to our many customers,both new and old across the the Wirral, the North West and North Wales. We hire access platforms/cherry pickers. 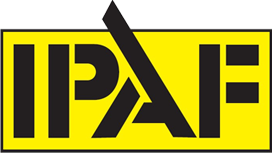 All our operators are IPAF trained. All required safety equipment supplied. Machines hired on a half day, daily or weekly basis. Machines operate to a maximum of 22 metres (More Information). Method statements and risk assessments supplied on request. We have recently introduced a new very versatile machine into the business,the RGQ18, enabling access to those difficult to reach places. If you need to get through a narrow gap, perhaps need to reach across a conservatory to carry out gutter or roof repairs, and scaffolding is not a feasible option, this machine could solve your problem. © 2019 The High Reach Company, All rights Reserved.